Javi here. 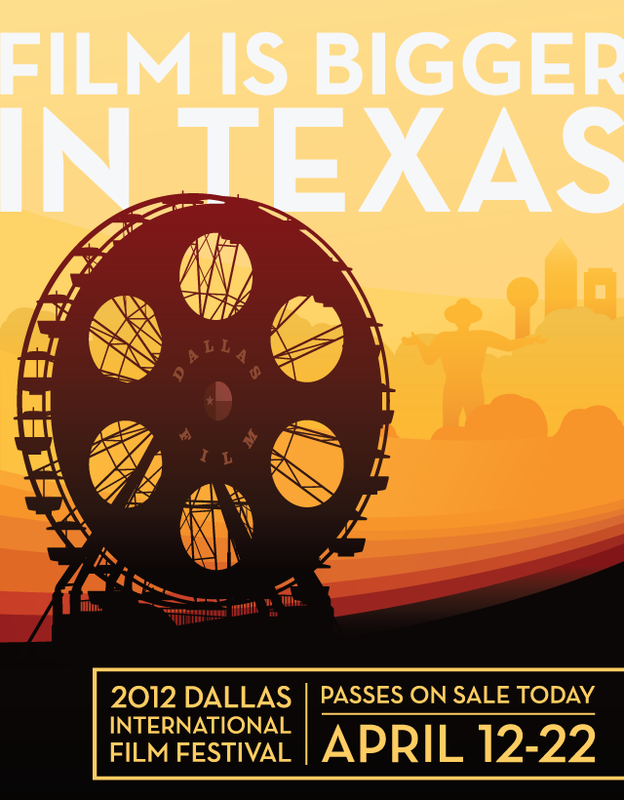 Just a quick post regarding some exciting announcements regarding the 2012 Dallas International Film Festival. We will be returning to cover the festival again this year. Thanks to the fact that the one and only Damon will be helping us during the festival, we will have even more reviews than in the previous years. Because of the extra help (and if our work schedule permits) we will be scheduling actor and director interviews this time around as well. Just a little info on Damon: he has a beard, so that's cool, and he also bangs on drums for some reason. He is also former contributing writer over the Gordon and the Whale(R.I.P), and now he primarily writes for Horror's Not Dead. You can see some of his work here. We also just got the first press release detailing some of the upcoming films you can look forward to. Hit the jump for more information. The Dallas International Film Festival announced today the first fifteen films chosen to screen at the sixth edition of the festival (April 12 – 22, 2012). The lineup includes two world premieres and nine Texas premieres. Films entered into the narrative feature and documentary competition will have the chance to win an unrestricted cash prize of $10,000 per category and those entered into the Environmental Visions Competition will have the chance to win a cash prize of $10,000 from Whole Foods. The Embrey Family Foundation returns with a $10,000 prize to bestow the Silver Heart Award to an individual or film for their dedication to fighting injustices and/or creating social change for the improvement of humanity. Legendary animator, director, author and illustrator Glen Keane, best known for his work on Disney classics such as ALADDIN, BEAUTY AND THE BEAST, TARZAN, THE LITTLE MERMAID and TANGLED, was named this year’s honoree for the Texas Avery Animation Award presented by REEL FX. Keane has previously received the prestigious Winsor McCay Award, which is also presented for lifetime achievement in animation. DIFF sees the return of a number of alumni in 2012. Named in 2011 as “one to watch” by Variety, producer and DIFF’s Advisory Board member Jason M. Berman returns to Dallas with two films in this year’s festival, the critically acclaimed drama, LUV and O’Nan’s THE BROOKLYN BROTHERS BEAT THE BEST. In partnership with fellow THE DRY LAND (2010) alum, Ryan O’Nan, Berman and O’Nan have assembled an impressive cast for THE BROOKLYN BROTHERS, including Michael Weston, Arielle Kebbel, Andrew McCarthy, Jason Ritter, Wilmer Valderrama, Christoper McDonald and Academy Award-winner Melissa Leo. Attending DIFF in 2010 opened up many doors and investment opportunities for both filmmakers. Marking their third appearance at DIFF (following KAMP KATRINA (2007) and INTIMIDAD (2008)) are filmmaking tandem Ashley Sabin and David Redmon as they go behind the scenes of the Japanese and Siberian modeling industry and uncover the unsettling truth in their documentary, GIRL MODEL. Another DIFF alum Academy Award winner Alex Gibney is executive producer of world premiere BIBA! ONE ISLAND, 879 VOTES directed by his longstanding colleague in cinematography, Benjamin Bloodwell. Lawrence Kasdan’s return to directing in nearly 10 years will be a highlight in the Texas premiere of his drama DARLING COMPANION, featuring a stellar cast that includes Diane Keaton, Kevin Kline, Richard Jenkins, Dianne Wiest and Elisabeth Moss. And genre fans will be in for a special treat as the director of THE GRUDGE films, Takashi Shimizu, will be in town to head up the festival's Midnight category with his most recent work, TORMENTED. THE ATOMIC STATES OF AMERICA, featuring an appearance by Alec Baldwin, is the first film to be announced in the Environmental Visions Competition. Three selections were announced in the popular and coveted Texas Competition category: Dallas Cowboys documentary AMERICA’S PARKING LOT; SIRONIA which marks the return to Dallas for the majority of the cast and crew, including ANGEL (1999) actress Amy Acker; and the world premiere of Mark Potts’ CINEMA SIX which features the much-loved Barry Corbin. Approximately 180 films from all over the world will be screened over 11 days. For the first year since the festival’s inception there will be a Festival Village at the fashionable Mockingbird Station. The Festival Village will serve as the hub of the festival where filmmakers and film fans will have the chance to mingle and network at the Festival Lounge and CBS Radio will present its first ever Music Lounge - showcasing local music to the public every evening for the festival’s eleven-day duration. Only a few steps from Mockingbird Station, Kimpton’s luxurious Hotel Palomar will conveniently offer a stylish retreat for the out-of-town filmmakers and visiting celebrities as the festival’s host hotel. The festival will culminate with the Dallas Film Society Honors on April 20, an evening of tributes with Dallas Star Award honorees and filmmaker award winners at the Hotel Palomar. Along with the cash prizes from Whole Foods and The Embrey Family Foundation, TXU Energy will award grants to the winning schools and student filmmakers for the Student Light Up the Red Carpet Film Contest. Other Grand Jury Prize awards will be presented to the best narrative feature, documentary feature, Texas Competition, Short Film, Student Short Film and Animated Short Film presented by REEL FX Entertainment. Passes are currently for sale and range from $100 for a Festival Lounge Pass to $750 for an all-access Star Pass. Tickets go on sale at the Prekindle Box Office and online to the public on March 22. The Prekindle Box Office will be featured as part of the Festival Village at Mockingbird Station. 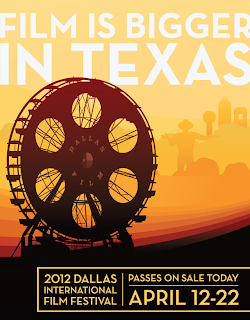 For further information on pass levels and how to purchase passes visit: Dallas Film Society or telephone 214.720.0555. Two die-hard fans and leaders of the legendary 'Gate 6' tailgate party, spend their last season with the Dallas Cowboys at historic Texas Stadium. When the Cowboys move 20 miles west to Arlington, the shifting politics and economics of major league sports threaten to dissolve the friendships and traditions they have built over 20 years and they scramble to preserve their place in AMERICA'S PARKING LOT. Following the 2011 9.0 magnitude earthquake which hit Japan and caused chaos at the Fukushima Power Plant, the fierce debate over the safety and viability of nuclear power was back in the public consciousness. ATOMIC STATES OF AMERICA takes the viewer on a journey to reactor communities around the country, exposes the truths and myths of nuclear power, and poses the question of whether or not man can responsibly split the atom. BIBA! follows the rallies and debates of Trenton Conner and Henry San Nicolas in their battle for control over the Pacific island, Tinian. Along the way we learn about Tinian's historic and geopolitical significance, being the launch point for the Enola Gay in World War II and presently the home of the Voice of America broadcasting towers, sending pro-democracy propaganda into China and North Korea. Three small-town friends have to decide whether to keep their easy jobs at a movie theater or actually try to do something meaningful with their lives. GIRL MODEL follows a complex supply chain between Siberia, Japan, and the U.S. within the modeling industry. The story is told through the eyes of the scouts, agencies and a 13 year-old model. Over the course of one day, a shy 13-year-old forms a bond with his troubled uncle as he shows the boy what it takes to be a man in Baltimore. TORMENTED centers on a young boy whose family seems to be unraveling around him. His sister is grappling with the reality of life or death, while his father walks a line with insanity. The situation intensifies when the boy manifests a dangerous friendship with a stuffed toy rabbit that comes to life. The Dallas Film Society celebrates films and their impact on society. A 501(c)3 non-profit organization, the Dallas Film Society recognizes and honors filmmakers for their achievements in enhancing the creative community, provides educational programs to students to develop better understanding of the role of film in today's world, and promotes the City of Dallas and its commitment to the art of filmmaking. The annual Dallas International Film Festival, scheduled for April 12 – 22, 2012, is a presentation of the Dallas Film Society. In addition to producing one of the largest festivals in the Southwest, the Society produces numerous year round events, screening series and partnership programs with arts organizations around the city. For more information, call (214) 720-0555, or visit http://cts.vresp.com/c/?DallasFilmSociety/af05bf8653/1693bb9b94/45d4553af1. The offices of the Dallas Film Society are located at 3625 North Hall Street, Suite 740, Dallas, TX 75219.